This report covers different technologies including social networking and mobile reporting the impact on final customers in economic terms. 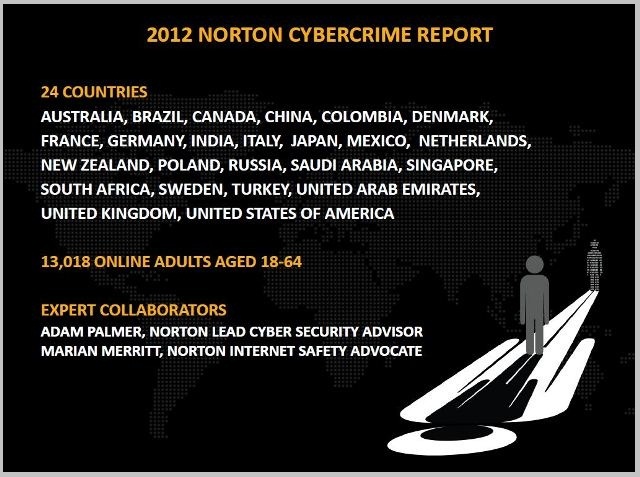 The report involved 13018 participants across 24 countries aged 18-64 and a pool of expert collaborators. 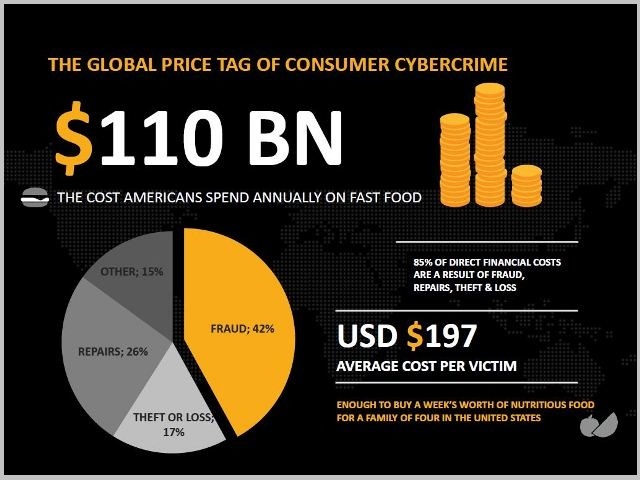 The impact of cybercrime is worrying with 556 million of victims per year, 2 on 3 adults have been victims of on line illegals in their lifetime and the total economic loss is 110 Billion with an average cost per victim of $197. 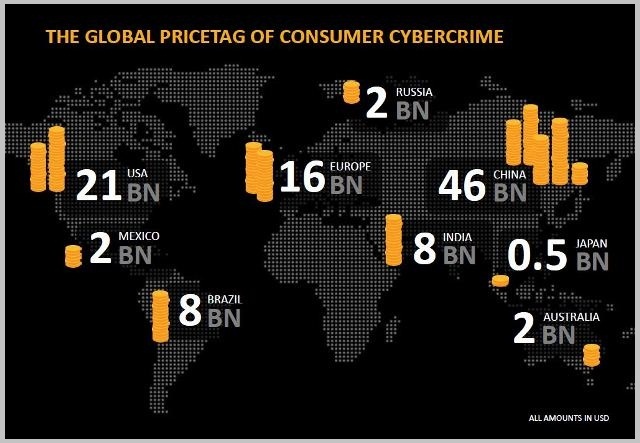 The Asian region is the most affected by cybercrime, the global price tag of consumer cyber crime for China amounts to 46 Billion, followed by US with 21 Billion and European Area with 16 Billion. 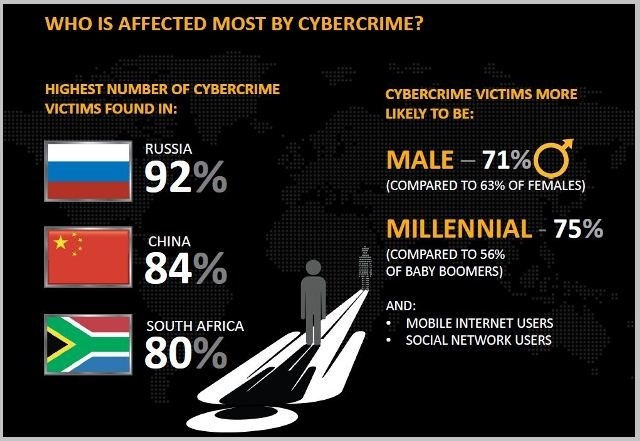 The highest numbers of cyber crime victims were found in Russia (92 percent), China (84 percent) and South Africa (80 percent). 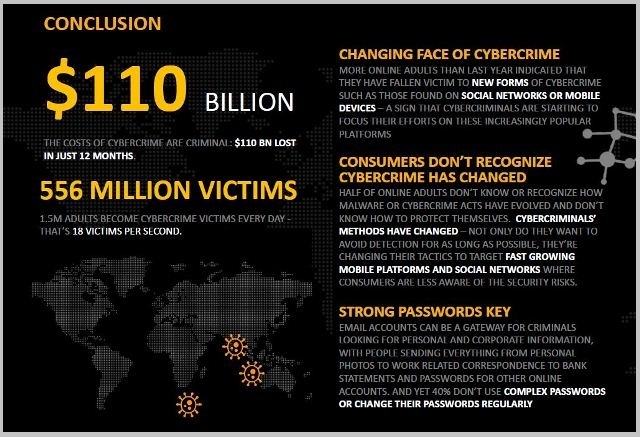 The technologies that have suffered the major increase in cybercrime are social networking and mobile. 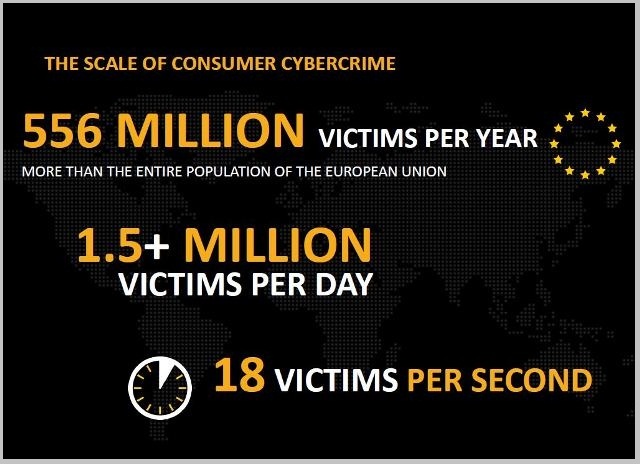 It has been registered an increase in cybercrime which takes advantage of social networks and mobile technology. 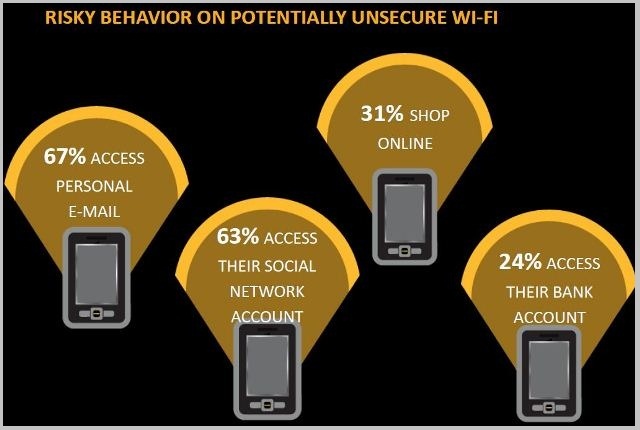 Mobile users are very vulnerable to attacks, 2/2 adults use a mobile device to access the internet and the mobile vulnerabilities doubled in 2011 respect previous year. 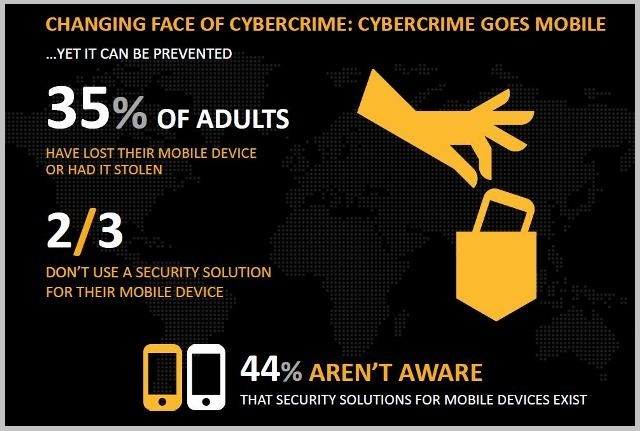 44% of users aren’t aware of the existence of solutions for mobile environments, and 35 of adults have lost their mobile device or had it stolen. Of particular concern is an improper use of social networks, wrong management of sessions, absence of validation of visited links and a total ignorance of any security setting expose users to fraudulent activities. 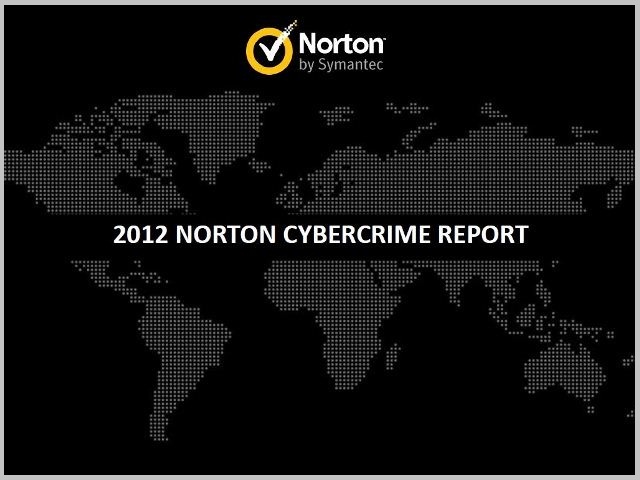 15 percent of users have had their account infiltrated, and 1 in 10 have been victims of fake links or scams. 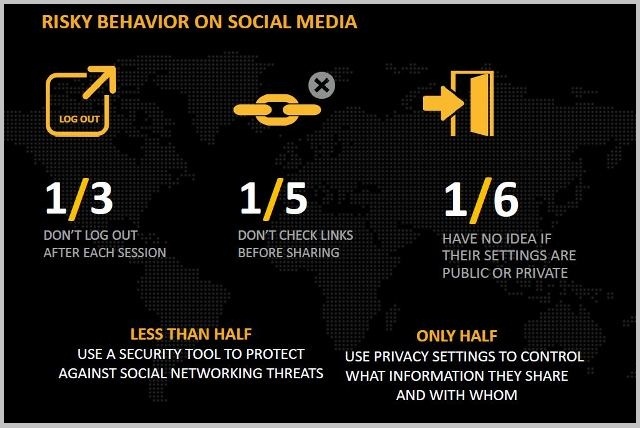 Other behaviour extremely worrying is the way in which people use public networks and operate on it, for example accessing to private services such as email. The email accounts are one of the most appetible targets for cybercriminals because they represent a simple way to access to sensible information. 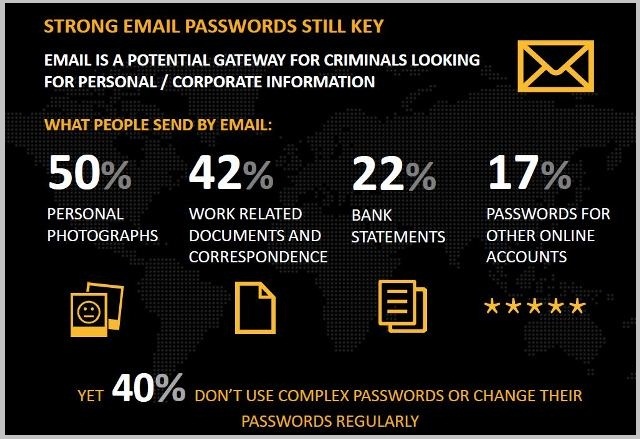 40% people don’t use complex passwords or change their passwords regularly.